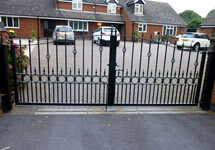 Stately Fabrications are based in Stretton Under Fosse near Coventry and specialise in creating bespoke wrought iron driveway gates at affordable prices. 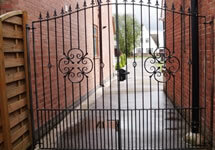 We are a family run business with over 40 years experience in wrought ironwork and our wealth of experience and expertise ensures that all of our wrought iron driveway gates orders are completed on-time and to high standards. 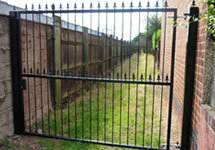 We have an extensive catalogue of wrought iron driveway gate designs but we can make wrought iron driveway gates to your own design. 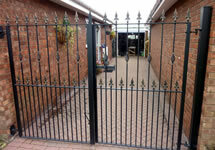 We service customers in the Coventry, Rugby, Warwick, Leamington, Southam, Nuneaton, Hinckley, West Midlands and Warwickshire area. 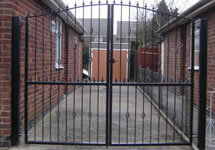 All wrought iron driveway gates are guaranteed and our quality assurance goes hand in hand with a fair price and delivery and installation at your home or premises. 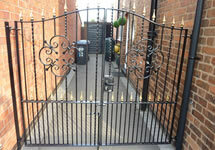 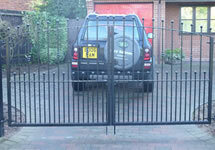 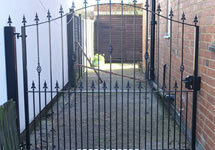 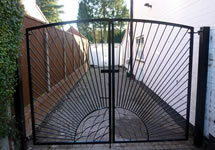 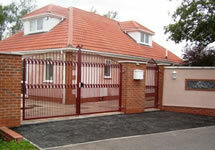 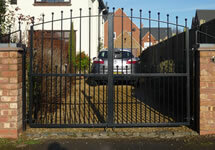 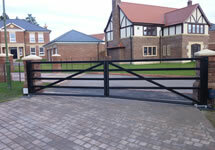 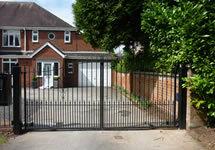 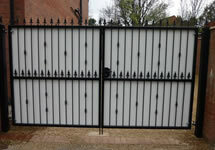 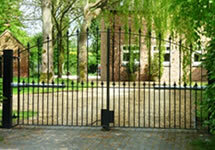 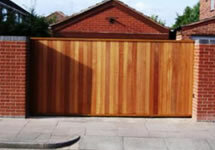 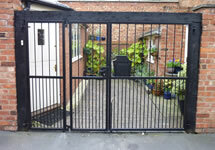 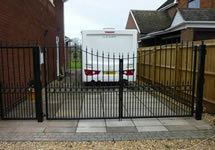 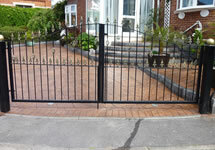 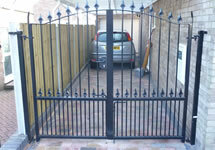 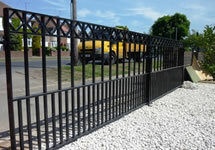 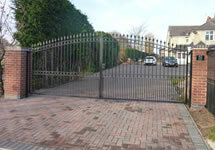 Please take a look at our wrought iron driveway gates gallery below. 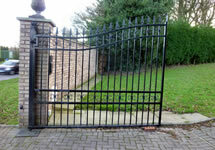 Call Stately Fabrications for more information on wrought iron driveway gates 0800 345 7718 / 07950 242 249 or contact us online.